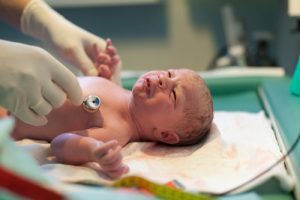 Depending on the baby’s specific condition, the physician will choose the best-suited resuscitation treatment. These can include Positive Pressure Ventilation (PPV), CPR and chest compression, intubation, defibrillation, airway suctioning, and surfactant or epinephrine administration. How Can Resuscitation Go Wrong? When such errors occur, the baby will be deprived of oxygen. If this goes on too long, the child can be left with permanent brain damage, cerebral palsy, ADD or ADHD, or cognitive and physical disabilities. These errors listed are at the fault of the medical staff and doctors/nurses, and they should be held accountable. Raising a child with a long-term disability can cause emotional, physical and financial strain on your child and your family. Thurswell Law will help you financially by securing the compensation you deserve for the errors made by your physician or other assisting medical staff. You will pay no fee unless you collect monetary compensation. Don’t wait any longer; contact our office today for a free consultation at (248) 354-2222.